H&L were appointed by Weymouth & Portland Borough Council to provide business management services for the redevelopment of the Chesil Beach Centre. Work was then undertaken with a wide range of partners to develop detailed proposals and prepare funding bids in order that the Centre could be expanded and developed to provide improved facilities. In December 2008 the project received a Round 1 HLF pass. 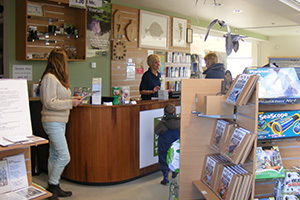 During 2009 and 2010 H&L worked with colleagues and a wide range of stakeholders on developing the project, a key project partner Dorset Wildlife Trust came on board with the project and agreed to operate the redeveloped Centre. In August 2010 with all the required match funding secured a round 2 bid to HLF was submitted with the decision received in December 2010 that the bid was successful and a grant of £550,000 was awarded. Work got underway to implement this £1.1m project with centre opening in July 2012 in time for the Olympics. H&L were appointed to assist with the project implementation. The main contractors for the project, Morgan Sindall of Poole, commenced construction work on site in November 2011.